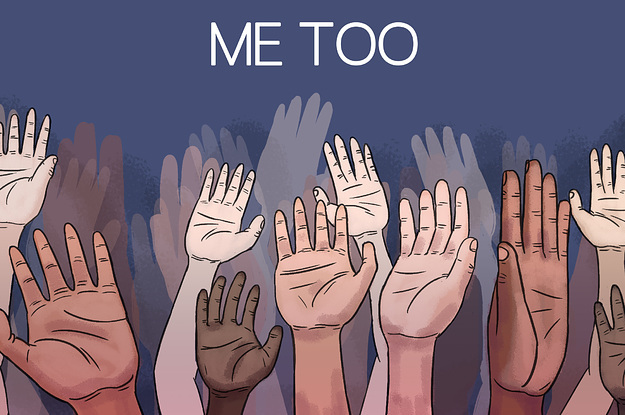 #metoo is everywhere and it is about time that this massive wave of fighting back has crested. Too long people in positions of power have abused their celebrity or authority to gratify their sexual needs. No one should have to go to work or school or in cases of caretaker or parents, even home and have to be used as an object to humiliate or use. This is a sensitive issue but that doesn’t mean we should shy away from it. It is not the time to be a fence-post sitter and truthfully I fail to see how anyone could be comfortable sitting on the fence anyway. Staying firmly planted on your side is always better for the conscience and the soul. Recently a judge told a 17 year old girl that “she should be flattered” a 50 year old cab driver, kissed her, licked her face and grabbed and groped her in private areas, sexual reproductive organs, because he deemed her unattractive to himself. I believe he called her overweight. Regardless, he is taking the term “judge” beyond what he is paid by that public to do. Judge the crime, not the sexual attractiveness of the victim. I didn’t see his assessment of the attractiveness of the accused however. It is shameful victim-blaming at it’s worst. This is a massive time of change in our culture and it is much needed. We are often chatting in chat rooms and seeking local singles and many of us list our physical attributes first. We all seem to be programmed by the media to fit in to a generalized idea of what is sexually attractive. Is it really necessary for a happy, fulfilled life to be a cookie-cutter vision of someone else’s sexual desires incarnate? It is time to consider how we treat others and how we see ourselves. Free the soul by being who YOU want to be and not use power positions to further enhance your own egotistical feelings of superiority, or conversely, speak up for yourself when confronted with these kinds of demands. We are only as equal if we demand respect for ourselves and others we see bullied in this manner. Sexuality should encompass all we are, it should be a free expression of admiration, a delicious and sensual delight between consenting adults. Be part of this wonderful change, embrace it and embrace your true self!